Poole is a very well-known pottery; it started operating in Dorset, England in 1873 – and continues today. All Poole is now highly collectible- but I am particularly fond of the pottery produced between the 30s and 60s. This Poole egg cup set is in the twintone colourway [THEIR term] ‘Seagull and Teal’. The teal makes for a nice connection with the tea caddy. The ’seagull’ is a lovely mottled pinky-creamy-colour. The five piece set is in excellent condition; the plate under the egg cups has circular indentations to help steady the cups. 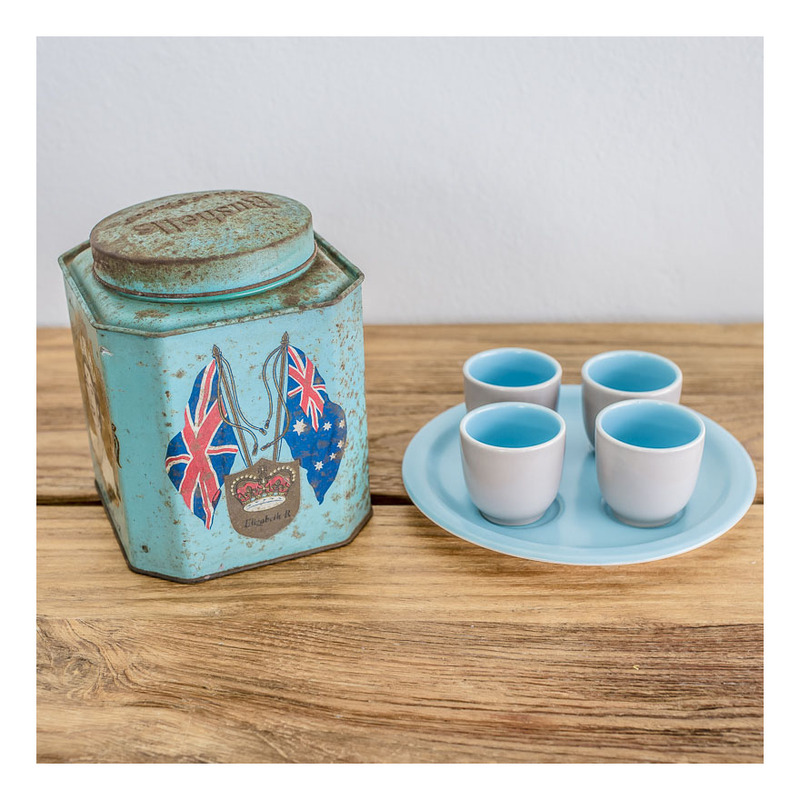 Bushells tea caddies, tin and mass produced to mark commemorative occasions, are now quite sought after. Here we have her Maj, Prince Philip and both countries’ flags to mark Elizabeth’s coronation in 1953. This caddy has now sold.